The project was funded by Measure Q, a local 1/8 cent sales tax for transportation services to benefit seniors, persons with disabilities, and veterans. Honoring this commitment, the Mobility Services Center will offer RIDES eligibility certification, and services for travel training, taxi vouchers, MST TRIPs, and the Navigator volunteer program. 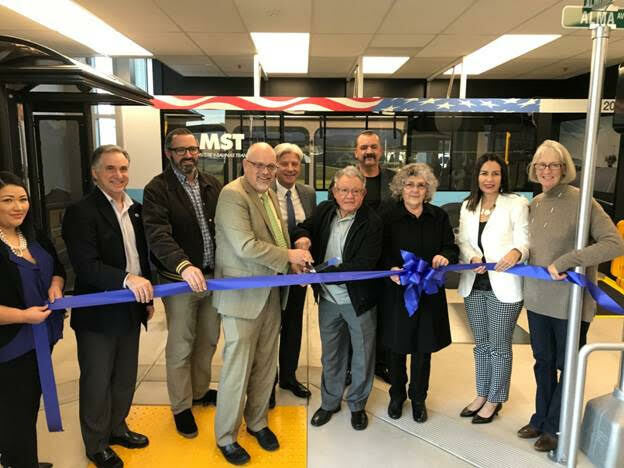 MST ribbon cutting for the new Mobility Services Center. For more information, please visit www.mst.org or call Monterey-Salinas Transit toll-free at 1‑888‑MST‑BUS1.